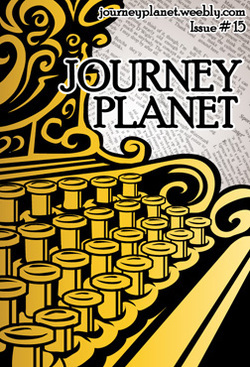 Journey Planet - Themed for Your Pleasure - Journey Planet - 2015 Hugo Winner! In our final issue of 2015, We look at the impact of those who have come before us, and what they meant to the evolution of Fandom, and of fans. Wonderful stories of legends like Bruce Pelz, Peggy Rae Sapienza, Jerry Jacks, Mikey Jelenski, Fred Duarte, Gary Louie, Robert Sacks, Poul Andersen, Mick O'Connor, Dave Stewart, James White, Ted Johnstone, Joe Mayhew, LeeH, Jay Haldeman, George Flynn, and many many more, help us understand the legacies that led us to where fandom is today. December 2015 - Guest editors Meg Frank, Esther MacCallum-Stewart, and Linda Wenzelburger! This issue looks at letters and writing in a very different way from anything JP has tried before! From Open Letters to Postcards to Pens and Penmanship to Just Plain Good Fun, it's 90 pages of majesty! 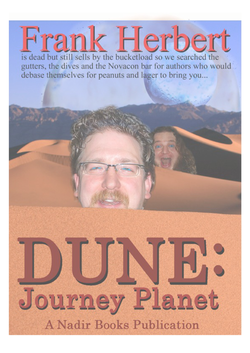 October 2015 - Michael Carroll returns to the masthead (and provides another awesome cover!) for an issue about National Novel Writing Month! Thrill to articles from Michael, Chris, James, and an extended interview with Chaz Brenchley, Gail Carriger, Michael Carroll, Paul Kane, Ruth F. Long, Michael Marshall Smith, & Liz Williams, plus great art from Charlie Irons and Darne Lang!!! April 2015 - A look at Superheroes! Editors James Bacon, Aurora Celeste, Chris Garcia, and Linda Wenzelburger! 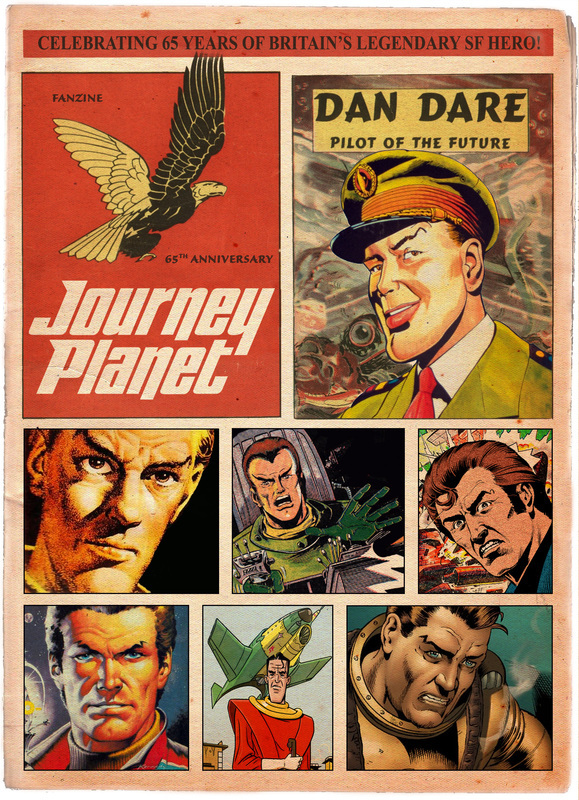 May 2015 - We take a look at Britain's hero Dan Dare, with Michael Carroll co-editing! It's a MASSIVE issue that looks at the Colonel in Print and Everywhere! 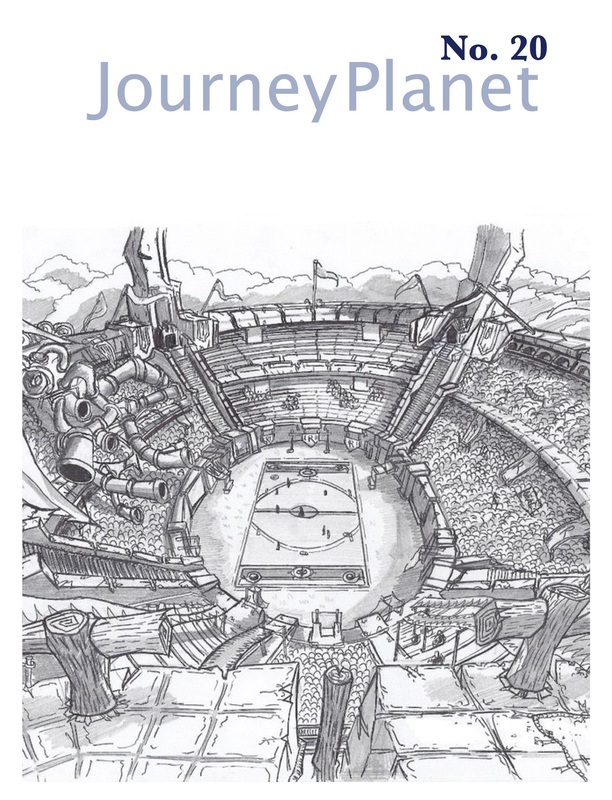 June 2015 - On this, the year of his re-burial, Journey Planet looks at his legacy, re-discovery, the Shakespeare play, and so much more! Featuring the Art of Autun Purser! Issue 21 - The Greatest Year in Science Fiction! 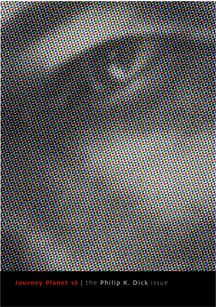 January 2015 - Editors - James Bacon, Warren Buff, and Chris Garcia! SpecialGuest editor Pete Young! Featuring writing from Ted White, Tim Powers, Chris Garcia, James Bacon, Chris Littes and more! Issue 20 - GO SPORTS! Helen Montgomery joins Chris and James for an issue dedicated to The Sporting Life! Special Guest Editor -Colin Harris! Featuring words from James Bacon, Chris Garcia, Vince Docherty, Colin Harris, Deb Geisler, Peter Weston, and many, many more! Special Guest Editor - Helen Montgomery! 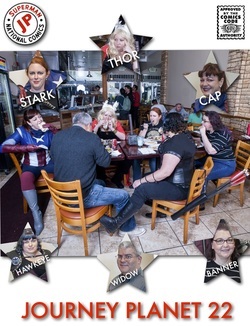 We look at how Social Media and Fandom intersect, diverge, power-up, and sometimes explode with articles from anonymous contributors around the world! Cover by Dan Berger! Edited by James Bacon and Chris Garcia, with Guest Editors Emma King and Helen Montgomery. Edited by James Bacon, Chris Garcia, and Lynda E. Rucker. Edited by James Bacon and Chris Garcia. Edited by James Bacon and Chris Garcia with Guest Editor Pete Young! Edited by James Bacon, Claire Brialey, and Chris Garcia. Issue 8 - What Makes You A Science Fiction Fan? Edited by James Bacon, Claire Brialey, and Chris Garcia, featuring Guest Editors Yvonne Rowse and Ian Sorensen. Cover from Hugo-winner Mo Starkey. Edited by James Bacon, Claire Brialey, Chris Garcia, and featuring Guest Editor Pete Young. David Gerrold, Rebecca Ince-Partridge, Ctein, Howeird, and Chris Garcia talk Alternate History! Harry Turtledove, Chris Garcia, Barbara Hambly, Michael Siladi and more take on the topic of what three things you'd want with you if you time-traveled... and other stuff!